Meet our team in Barcelona! 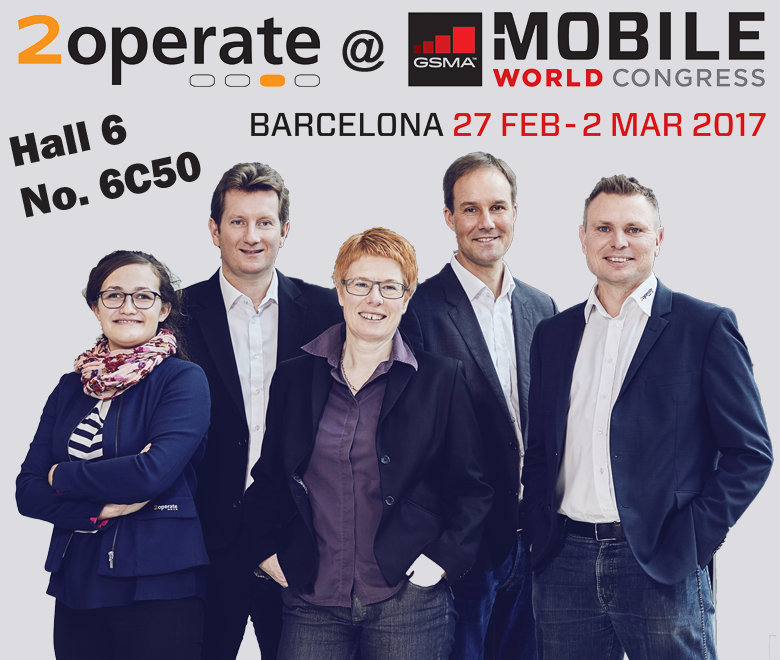 2operate will exhibit at Mobile World Congress in Barcelona, 27 February-2 March 2017. Meet us there for a chat about our visions for simplifying network operations. Find us at our booth in Hall 6, stand no. 6C50 (look for the “Denmark” pavilion). We look forward to meet you there!